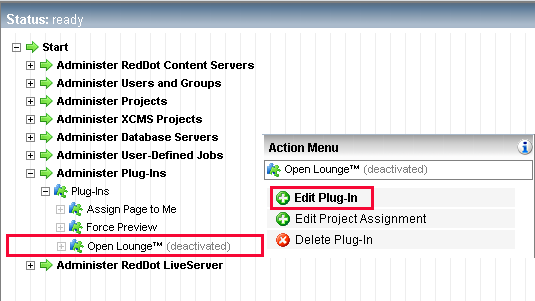 How to Install A RedDot CMS Plug-in - Open Text Web Solutions Usergroup e.V. 1. First down the relevant plug-in files. 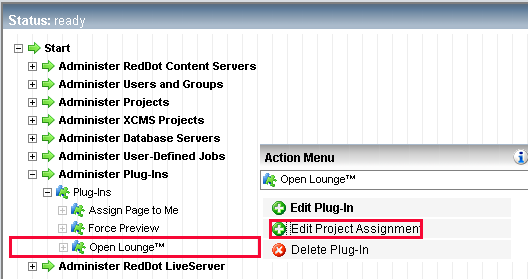 Open Lounge™ is an easy-to-use business collaborator for RedDot CMS and is free to download. (For demonstration purposes, this tutorial will Open Lounge™ as a sample plug-in.) You can download Open Lounge™ here. Unzip or unrar it as needed - into your "/PlugIns/" folder under your RedDot CMS installation folder. It is normally here: "C:\Program Files\RedDot\CMS\ASP\PlugIns". 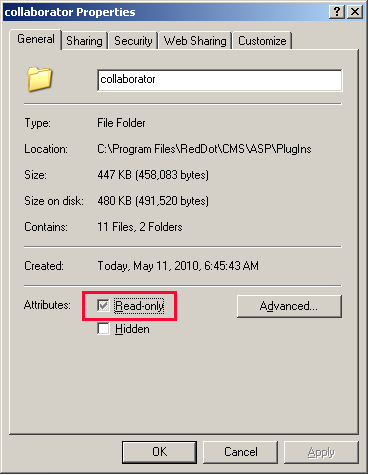 The folder that constitutes Open Lounge™ plug-in is named "collaborator". 3. 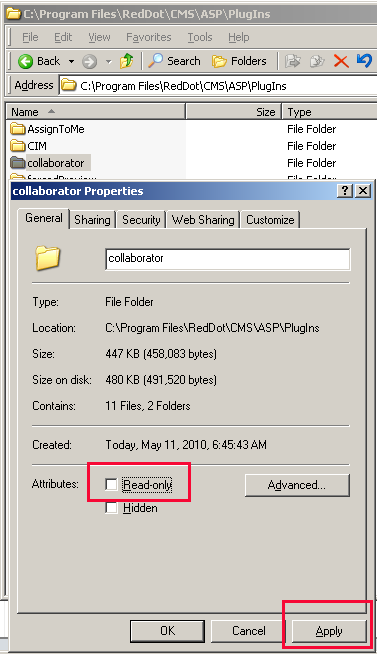 In most cases, Windows has set "Read-only" default attribute to collaborator. 4. 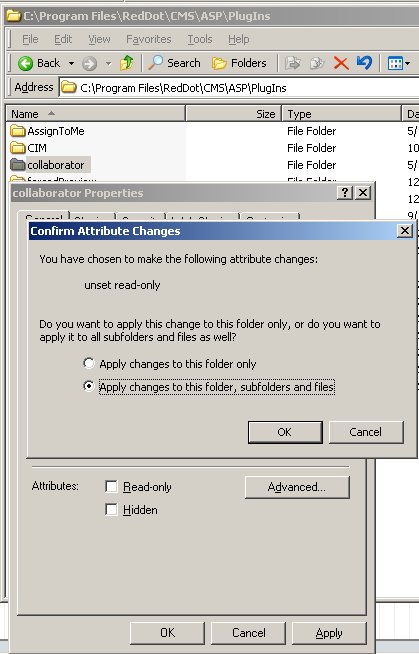 Uncheck "Read-only" and hit "Apply"
"collaborator" folder to inherit "PlugIns" folder's attributes, particularly the "security" permission settings. 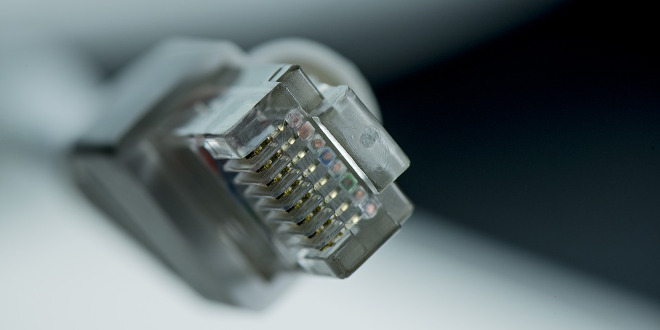 If for any reason your plug-in does not run later, come back to step 4. And 5. And inspect "collaborator" again and click on the "security" tab. You will have to manually add all users that are permissible to "PlugIns" folder but are denied access to "collaborator" folder. Such discrepancies are the culprit that prevents your plug-in from running in most cases - unless the plug-in itself is buggy. 8. Browse to the just placed "collaborator" folder. 12. Now the plug-in is imported and activated. 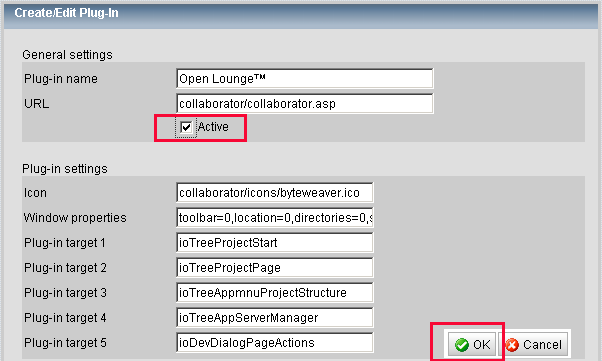 Now it's time to download Open Lounge™ and try the above-outlined steps yourself!